Kevin has been designing and executing breathtaking custom pieces since 1970. See examples of Kevin’s past work here. Kevin began his career at age 15 in his father’s Jewelry business in Zanesville, Ohio. In 1975, he joined his parents and brother full time as resident goldsmith. 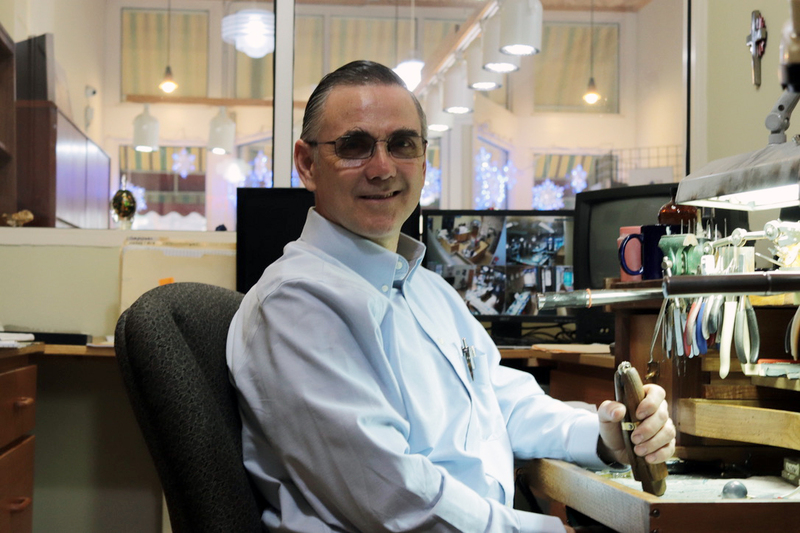 After studying basic jewelry repair, Kevin began the task of learning the many intricacies of the goldsmith trade, allowing the business to offer quality service, repair, and custom jewelry design on the premises. Kevin has studied with masters of the trade in Atlanta, Boston, San Francisco, Albuquerque,Tucson, and Houston just to name a few. He has attended many seminars on metallurgy, technology, hand engraving and jewelry design. Kevin specializes in selecting and working with unusual gemstones. He also works with platinum, a specialty not offered in many goldsmith shops. He excels in antique restorations. Kevin is a custom jewelry designer accomplished in the art of lost wax casting. He renders concepts in sketch form, then carves them in a wax to be cast into gold, silver, or platinum. He is also adept at all stone-setting techniques, including old-style bright-cutting, as well as being proficient at French style wire construction. Kevin has been doing business in Newark since March 1996. In 2010 we created the custom design studio at The Works complex at 44 South Second Street in downtown Newark. Kevin enjoys working with his customers to create singular jewelry pieces that satisfy their likes and desires while defining the important moments in their lives. Kevin travels annually to the Tucson Gem Show, one of the largest in the world, to hand select unique and exceptional quality gemstones for our customers. Ten goldsmiths have apprenticed under Kevin in the last 30 years. He was responsible for designing and developing the National Sales Awards for the Longaberger Corporation as well as designing employee service awards for other southeastern Ohio business. His works of art have been displayed at the Zanesville Art Center in juried shows, where he served on the board of directors for three years and as advisor for the area high school key clubs. Kevin was president of the board of the Newark Alliance and is a member of the Downtown Newark Association. Kevin has been very involved in church functions over the past 35 years, serving in marriage preparation programs, as well as organizing a home-based faith sharing ministry for parish families. Since moving to Newark, he and his wife have been instrumental in men’s and women’s sharing groups as well as working in Youth Ministry. Kevin recently led a three-year catholic men’s leadership program at Blessed Sacrament Church called “That Man Is You”. Kevin and Maureen have been teaching swing and ballroom dance for area teens at their farm for the past thirteen years. In his spare time, Kevin enjoys farming, timber cutting, woodworking, and all outside activities with his family. Kevin and Maureen have seven children and six grandsons and six granddaughters. 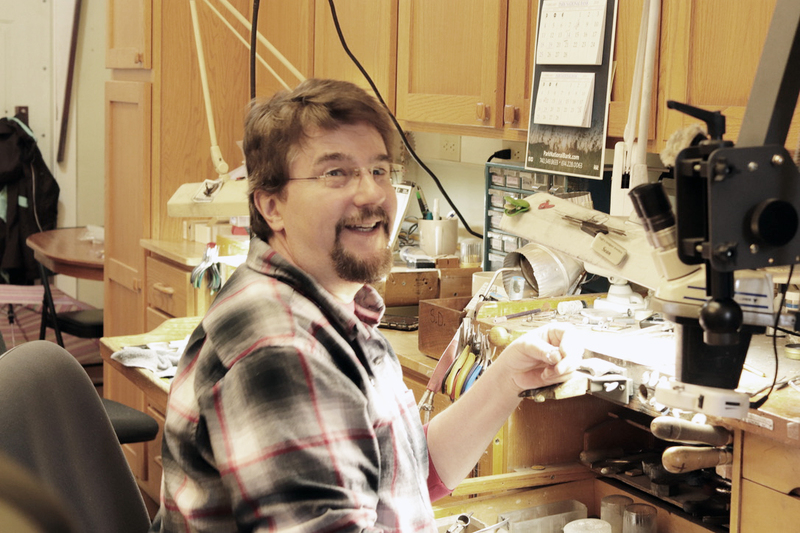 Sean has been restoring and designing fine jewelry for 25 years and is proficient in all aspects of jewelry service. Sean worked at Reynolds Memorial Hospital in Glendale, West Virginia from 1980-1991 as an O.R. Orthopedic and Urological assistant in an emergency room 1st respondent trauma unit. Sean is also a Certified E.M.T. in basic life support. During this time, he cut and faceted hundreds of carats of Emerald, Sapphire, Ruby and Tourmaline as a hobby. In 1991, the hobby turned into a career. He worked for 5 years in an apprenticeship in Lost Wax Design and casting of precious metals at Independent Jewelers, in Va. Beach Virginia. He then contracted with British owned Sterling Jewelers Inc. and worked and designed jewelry for sister company’s Zales, Kays, and Jared Jewelers until 2011. During that time, he custom designed jewelry for many individuals and created many fine jewelry pieces to the satisfaction of his clients. Sean is proficient in all types of stone setting, wax carving, and hand fabrication. He specializes in antique jewelry restoration and is able to reproduce lost pieces from old pictures and appraisals. 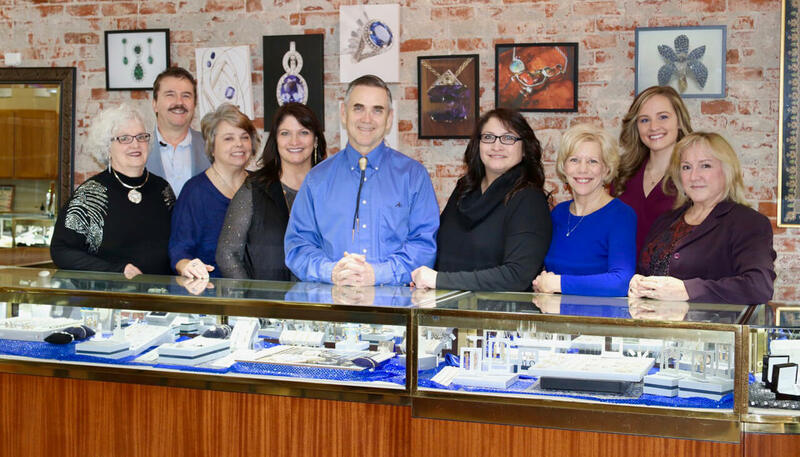 See Sean at Pugh’s Designer Jewelers Custom Design Studio for all your jewelry needs.